A safe place to grow and heal. I know, it seems like half the businesses that started in the last 10 years include the word “Solutions” in their name. But I didn’t choose Creative Solutions to be trendy. I chose it for two very good reasons. 1. It reflects who I am and what I have to offer. I am an out-of-the-box thinker. 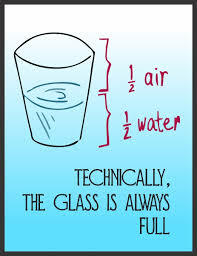 If you ask me if the glass is half empty or half full, I’m going to explain that we just need a slightly smaller glass. And then I’m going to get curious about what’s in the glass, and who put it there, and how useful it might be, and whether the amount actually matters, etc. I don’t get stuck easily when problems arise. I am hope-filled and determined to find the meaning and opportunities in situations and people. I work toward helping my clients experience that same hope, and seeing the surprising solutions available to them. No promises that the solution will be easy, or will look exactly the way you expected, but I do believe that, (at minimum) together we can make whatever you are going through more tolerable. 2. I am very interested in Solutions-focussed Therapy. (SFT) SFT is one of the most researched methods of talk therapy in the world. It has been around long enough now to have some very respectable outcome research that proves it is a seriously useful approach. I often offer it to people who come to see me about life problems, anxiety and depression. SFT is a forward-looking therapy that takes us a long distance away from Freud’s psychoanalytic approach that traced every problem back to childhood issues. It is also pretty far from the Behaviorist approach that sees people as robotic responders that always do the same thing in response to the same stimuli. SFT embraces the value of people as competent problem solvers, who get stuck and need assistance with finding a way out of their current dilemma. It doesn’t ignore the impact of the past, but it focusses on today and the future. I can tell you much more about Solutions-focussed therapy if you think it might be for you. I find it works very nicely in conjunction with other approaches like Cognitive-Behavioral therapy (CBT) and Narrative therapy.